The University of Georgia appears in our ranking of the Top 10 Master’s in Financial Planning Online Degree Programs. The University of Georgia offers a wide range of undergraduate and graduate degrees in finance and accounting. Undergraduate students can focus on any of several Bachelor of Business Administration majors in both finance and accounting, including a Certified Public Accountant option that provides students with an extra year of training for the CPA exam. Undergraduate finance majors can enroll in the BBA in Finance program while undergraduate accounting majors can choose the BBA in Accounting program. 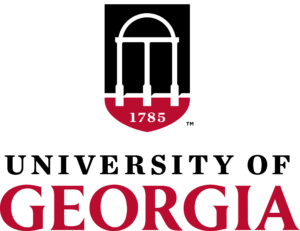 Graduate students have several degree focuses to choose from, including a Ph.D. in Accounting program offered by the University of Georgia Tull School of Accounting. Several options for a Master of Business Administration are available for graduate students of both finance and accounting, and UGA offers a wide range of online courses and degrees that can be completed entirely on the Internet. The BBA is one of the most popular online degrees available at UGA, and students of the online school can choose to focus on either finance or accounting. The undergraduate courses required for the BBA include the classical liberal arts courses required for bachelor’s degrees at other accredited colleges. The Terry College of Business and its Tull School of Accounting also offer many courses in quantitative reasoning, natural science, and political science. Graduate students enrolled in the MBA Finance or Master of Accountancy programs are required to take 12 to 18 hours of core business courses as well as 12 to 18 hours of accounting or finance electives. The College of Family and Consumer Sciences uniquely offers the online M.S. in Financial Planning, Housing and Consumer Economics. The Tull School of Accounting Ph.D. program is offered with concentrations in financial accounting, taxation, and auditing. The University of Georgia is the oldest public university in the United States. It was created by the state of Georgia in 1785 and today consists of 17 colleges educating 37,000 students annually. Throughout the world, more than 317,000 UGA alumni are currently living and working in a wide range of diverse cultures. These alumni have contributed their expertise to the economies of many of the world’s wealthiest and most dynamic countries. UGA is considered to be Georgia’s flagship institution, and educators at UGA are committed to providing a rigorous learning experience for students of all backgrounds. Education at UGA includes a unique process of hands-on research and personal training in leadership that is led by a faculty of Georgia’s top educators. UGA’s excellent record of student retention, graduation, and career placement is the result of the university’s unique approach to education. It is one of the top three producers of Rhodes Scholars in the United States, and the honors program at UGA is consistently ranked among the top 10 in the nation. The mission of UGA is threefold. It consists of education, research and service objectives designed to contribute value to the community and to the overall economy. UGA is accredited by the Southern Association of Colleges and Schools Commission on Colleges (SACSCOC), which is the largest accrediting body of the Southern states bounded by Kentucky, Virginia, Florida, and Texas. UGA is capable of awarding students with bachelor’s, master’s, specialist and doctoral degrees across hundreds of subjects in 17 distinct colleges. The Terry College of Business and Tull School of Accounting are accredited by the Association to Advance Collegiate Schools of Business (AACSB), a nonprofit college-accrediting organization that places emphasis on engagement, innovation, and community impact. In order to remain accredited by the AACSB, colleges must adhere to a set of 15 accrediting standards covering student and faculty support, engagement, learning, and teaching. UGA has consistently met these goals since its inception, and the Terry College of Business has one of the highest standings with the AACSB in the nation. Enrolling at UGA is a straightforward process, but it requires a specific set of steps that must be completed correctly and in the appropriate order. Admissions requirements vary slightly between degree focuses and education levels, with first-year students being given fewer deadlines and requirements than MBA and Ph.D. students. When considering first-year applicants, UGA looks at several admission factors that reflect the students’ dedication to academic excellence. Admission status of first-year students is determined by their grades in high school, the difficulty of their completed courses, their Required High School Curriculum Units (RHSC) and their ACT and SAT test scores. UGA has rigorous admission standards, and students are encouraged to demonstrate their level of academic readiness by taking the most challenging RHSC courses available at their high schools. Before joining the Terry College of Business, undergraduate students must already be enrolled in UGA and have a grade point average of at least 2.6. At the time of enrollment, students declaring a business major must select two choices of major and minor for their college records. The requirements for graduate admissions include a bachelor’s degree from an accredited university and placement in the upper half of the graduating class. Applicants for the Terry College of Business graduate programs also must present their college transcripts, GMAT and GRE test scores, letters of recommendation and any supplemental documents supporting their application for admission. The Executive MBA program is an advanced graduate program that includes several additional requirements. Before enrollment, MBA students must have a minimum of five years of work experience, a professional resume and two letters of recommendation. Undergraduate tuition for residents of Georgia is estimated to be about $11,000 per year, and out-of-state students can expect to pay around $30,000 per year. The tuition costs for a graduate degree at the Terry College of Business are similar. In-state students can expect to pay around $13,000 per year while out-of-state students will pay around $32,000 per year for a master’s degree. Several financial aid options are available for both undergraduates and graduate students, including federal student aid available through the Free Application for Federal Student Aid (FAFSA). Students with outstanding academic records are eligible for merit-based aid and academic scholarships. While private and federal loans must be repaid after graduation, grants and scholarships do not need to be repaid. The website of the Terry College of Business at the University of Georgia contains additional information about accreditation, admission requirements, tuition and financial aid.